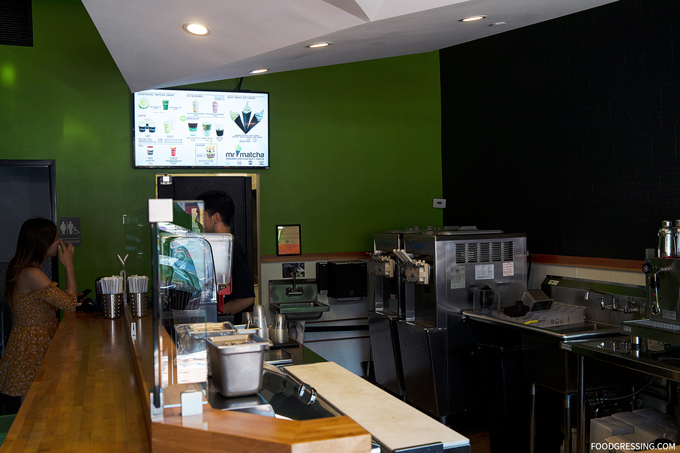 During a Southern California trip with my family this past summer, I visited Mr Matcha, a local dessert shop known for serving organic matcha soft serve. 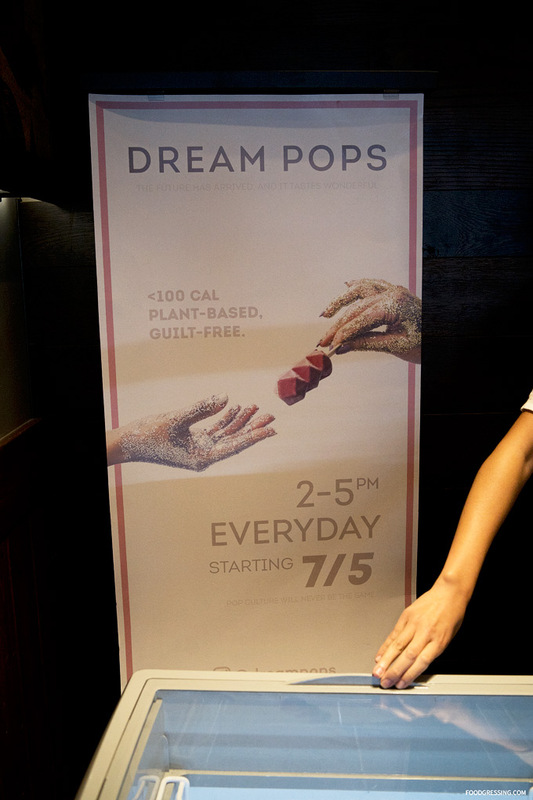 They have three locations in SoCal (Garden Grove, Santa Ana and Alhambra). I went to the one in Santa Ana, Orange County on the way back to Los Angeles from San Diego. 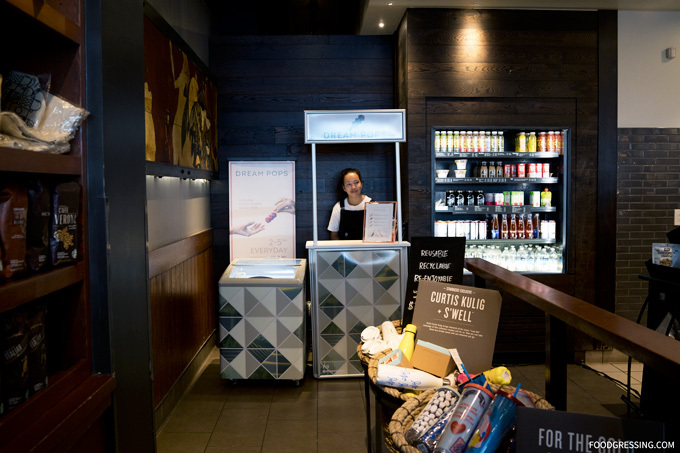 Mr Matcha is best known for their soft serve in matcha or black sesame flavours. 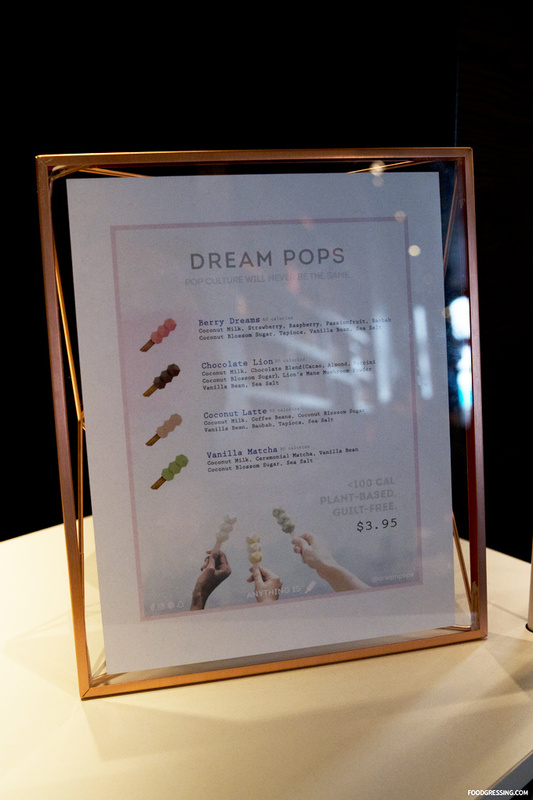 They also serve a sundae and a variety of hot and cold drinks (teas, lattes). Aside from matcha, they also have drinks in houjicha (roasted tea) and black tea flavours. 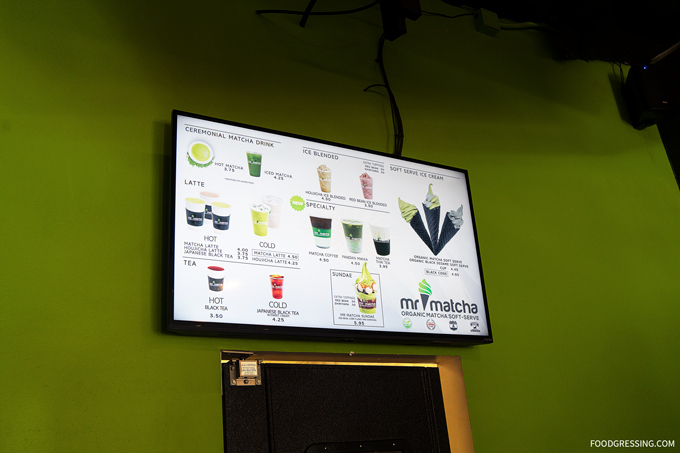 The interior of Mr Matcha was minimal with the ordering counter/preparation area occupying most of the space. There is a counter by the window with some stools but no dining tables inside. 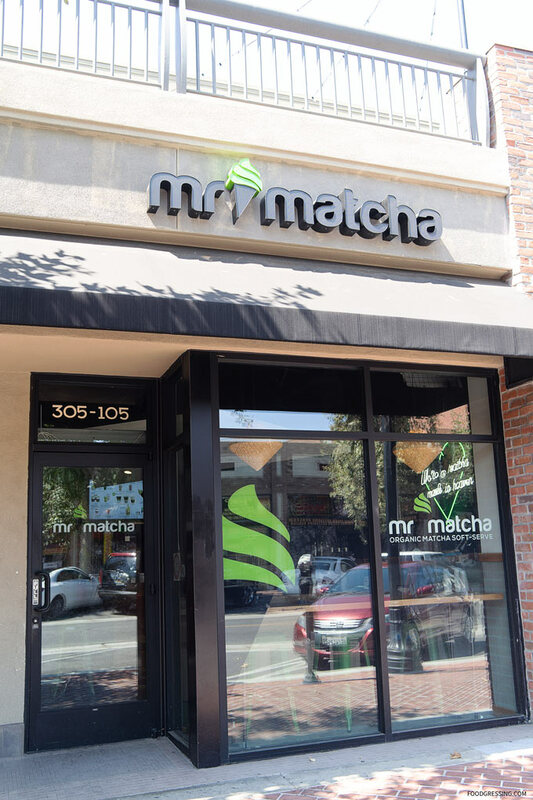 There is a cute neon sign that says, “We’re a matcha made in heaven.” Mr Matcha has more of a SoCal vibe rather than traditional Japanese. 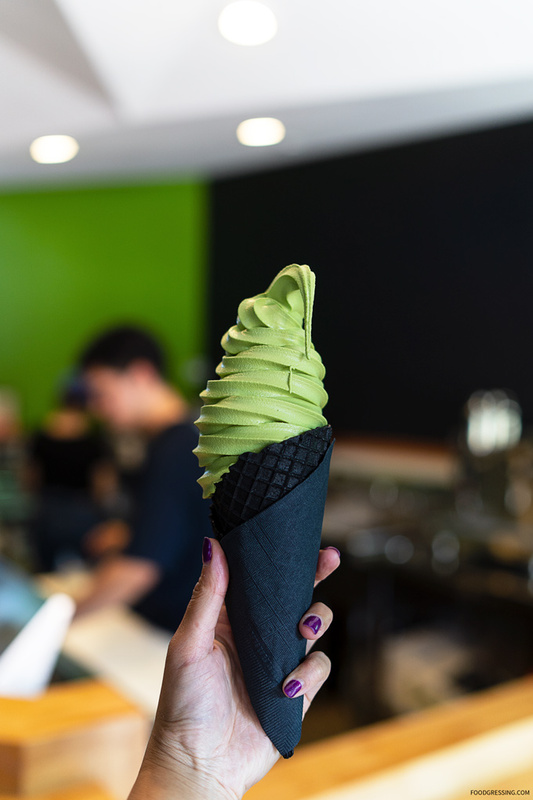 I went with the Matcha Soft Serve ($5) in a black charcoal cone. The photo I have below does not do justice to the perfect swirl I actually received. 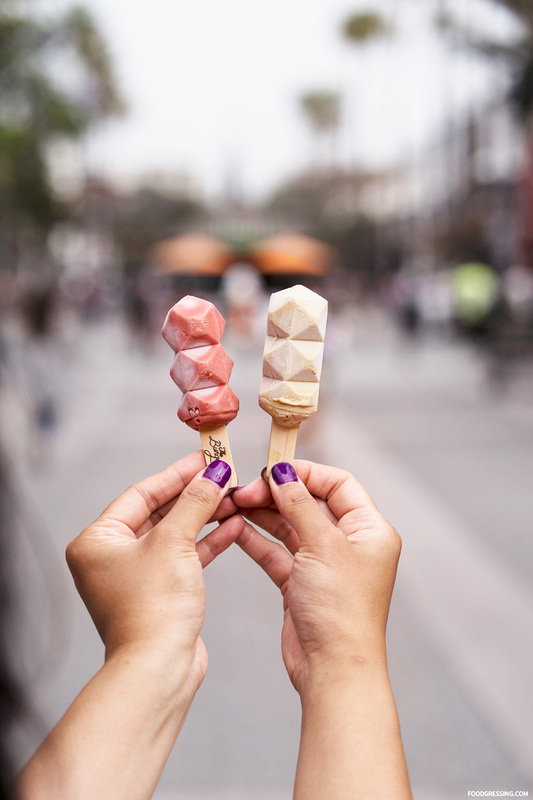 Unfortunately, I collided with another girl who was trying to take an Instagram-worthy photo and that is why the tip of the cone is deformed in my photo! 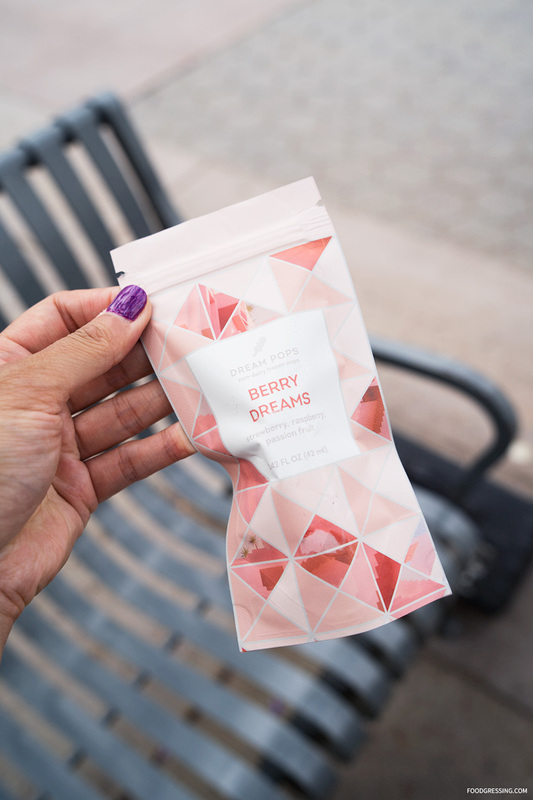 I thought the matcha flavour was excellent and it seemed of a high quality grade. There was a nice, slight bitter aftertaste which balanced with the sweetness of the soft serve. 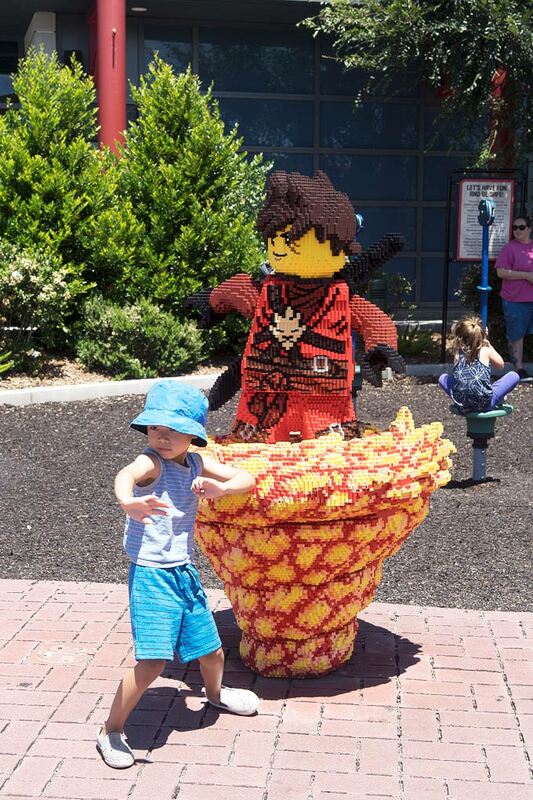 The waffle cone was very sturdy and held the soft serve well (ie, no leakage). My husband was surprised, like other people who have commented the same thing on Yelp, that the soft serve was hollow through the middle. I thought it was acceptable because you can’t get that pretty swirl if you try to fill it in! Hey everyone! 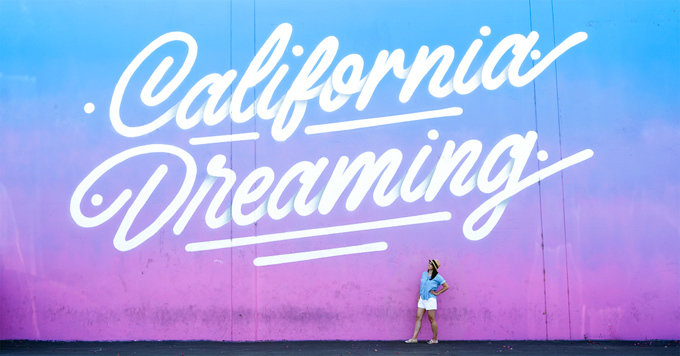 I’m back from my summer trip to Los Angeles and San Diego in partnership with Expedia.ca and I’m excited to share with you some travel planning tips and tricks. 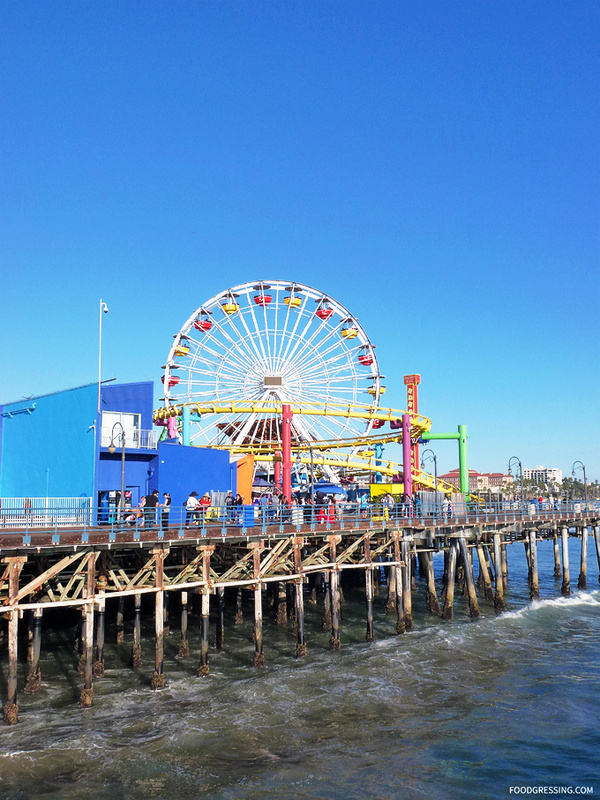 Have you heard of the Expedia Add-On Advantage program? It’s a way to book with ease, flexibility and savings. You can get discounted hotel rates when you add on to your existing trip and it’s exclusively for Expedia travelers. 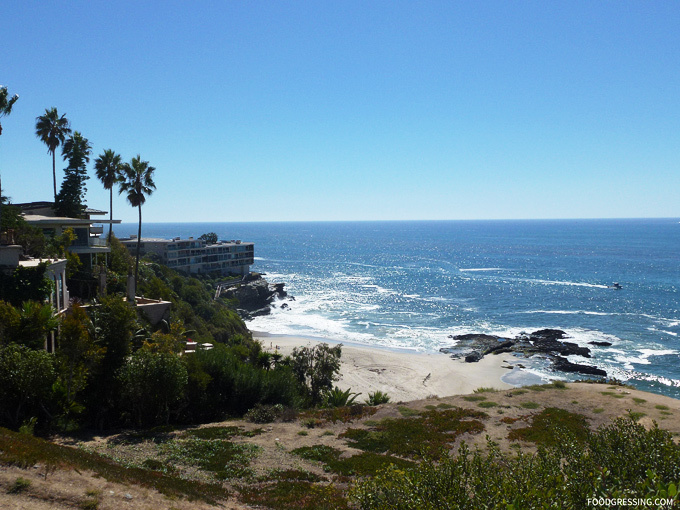 For this trip, I used the Expedia Add-on Advantage to score great savings on hotels. Read on to find out how I did it. Hotel savings (of up to 50% on Expedia.ca) on select properties are instantly unlocked up until the start of your trip. 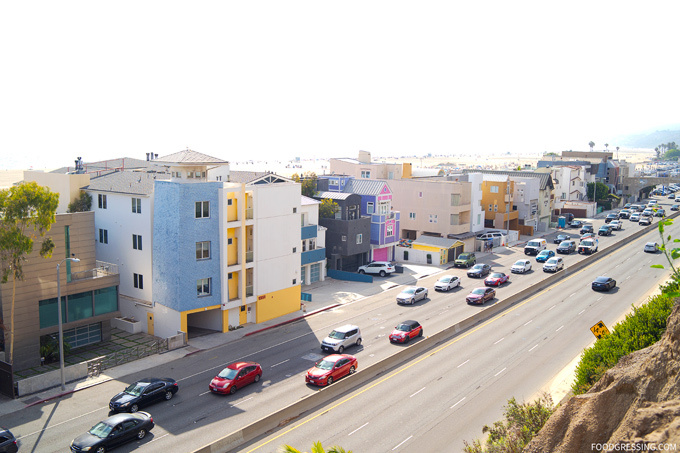 The hotel stay needs to occur within the travel dates of the flight, car or package purchase. 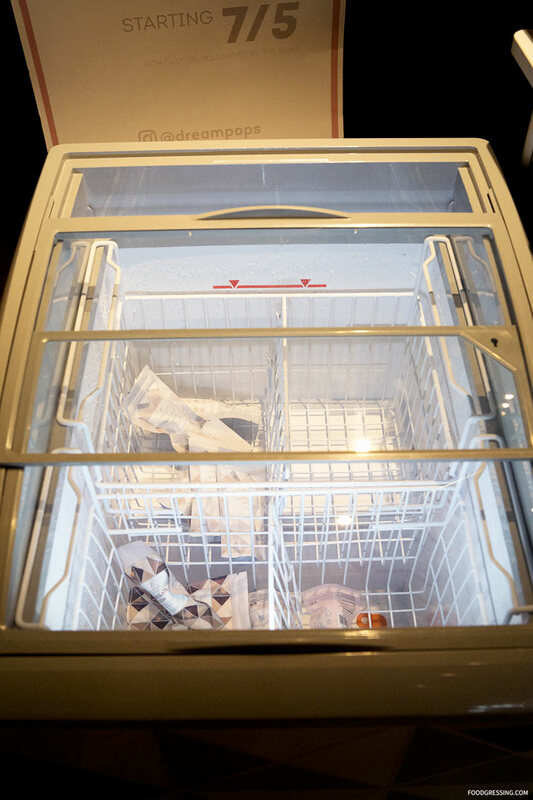 The hotel stay does not have to be in the same destination as the flight, car or package purchase – i.e. If a traveler books a return flight to London for three weeks, he or she can book a Paris hotel deal for that trip using the Expedia Add-On Advantage. 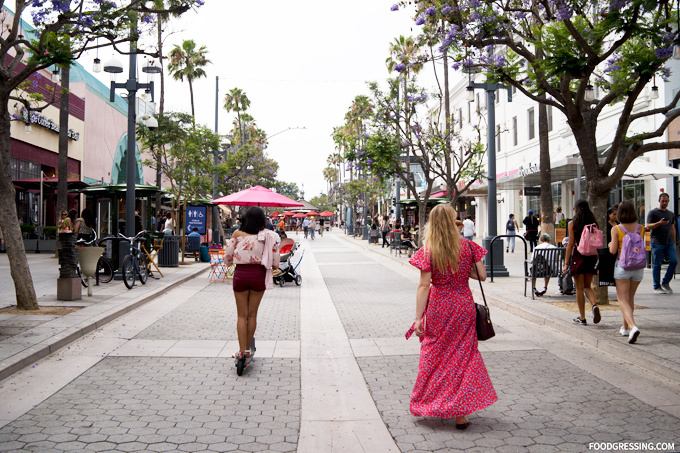 When you’re ready to shop, look for hotels with the Add-On badge. The discount will already be reflected in the lower price. Simply book and save. After booking my flight from Vancouver to Los Angeles on Expedia.ca, I didn’t book my hotel accommodations right away. This was great because Expedia Add-On Advantage lets you take the time you need to research the perfect hotel at the perfect price. However, the hotel booking needs to be made before the start of the trip because that is when the unlocked hotel discounts expire. 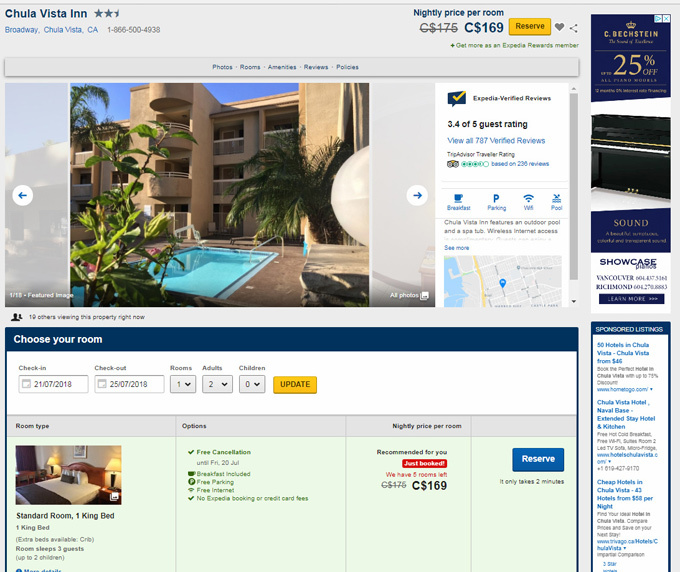 Just a few days before the trip, I searched for hotels in Los Angeles and San Diego and the ones that were part of the Expedia Add-on Advantage were identified with the Add-on Badge (highlighted in yellow). With the Add-on Advantage, I received a 6% discount on our stay at America’s Best Value Inn & Suites. 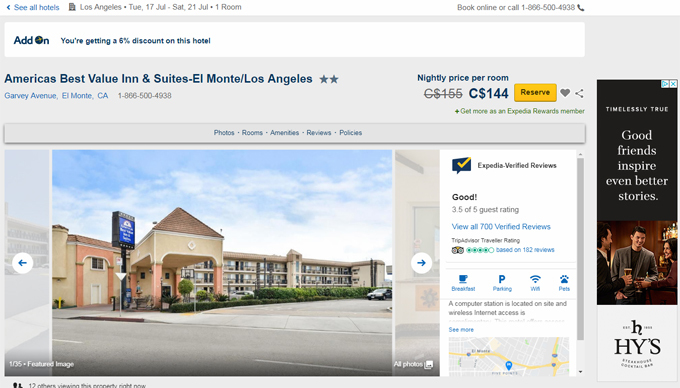 For Chula Vista Inn, the discount was already reflected in the lower price. 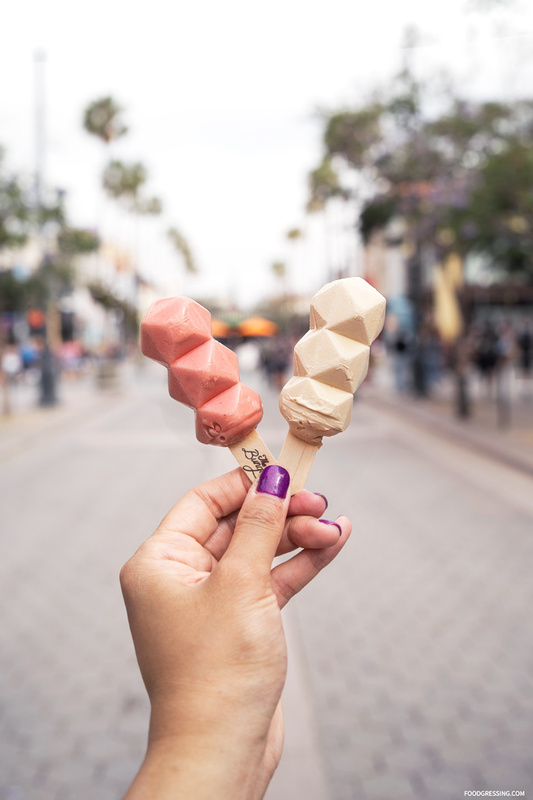 Some highlights of the trip including trying these vegan, 3D popsicles in Santa Monica. 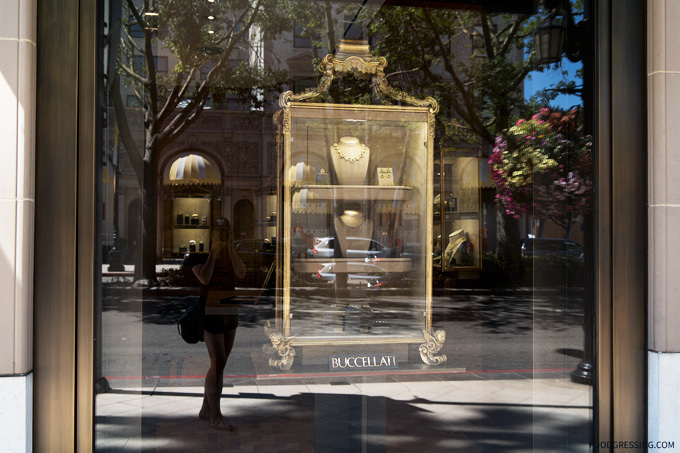 Visiting Rodeo Drive in Beverly Hills, 90210 and doing some window shopping. 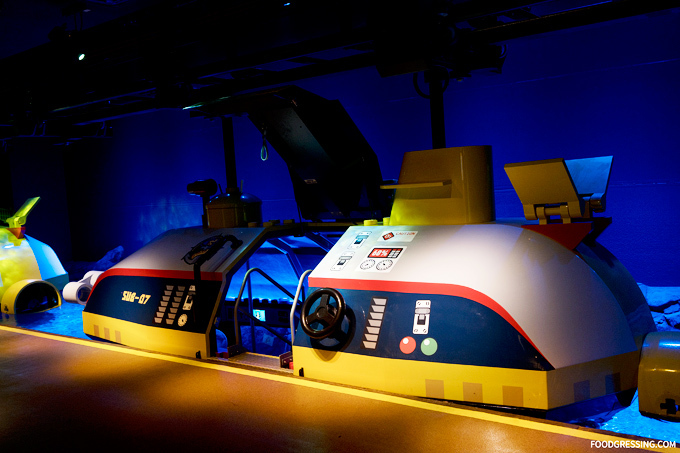 Visiting LEGOLAND and embarking on a real submarine at Deep Sea Adventure. 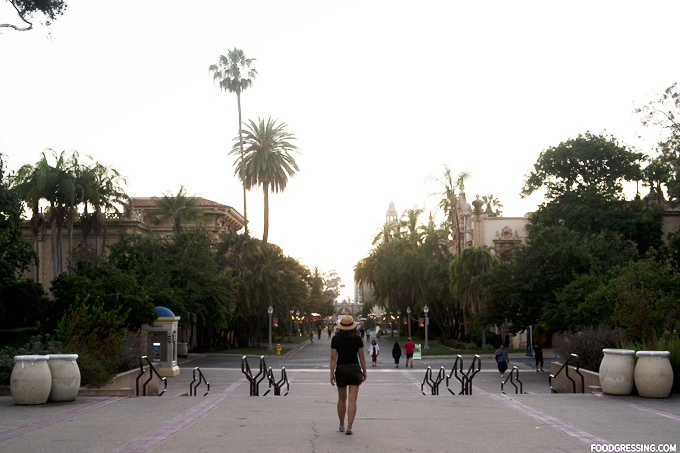 Strolling through Balboa Park in San Diego in the evening. It was wonderful to have incurred savings on hotel stays through the Expedia.ca Add-on Advantage. To find out more, visit Expedia.ca. One of my favourite Hollywood on-screen couples is Julia Roberts and Richard Gere. So when I visited Rodeo Drive in Beverly Hills last week, I made it a point to visit some of the filming locations for Pretty Woman. 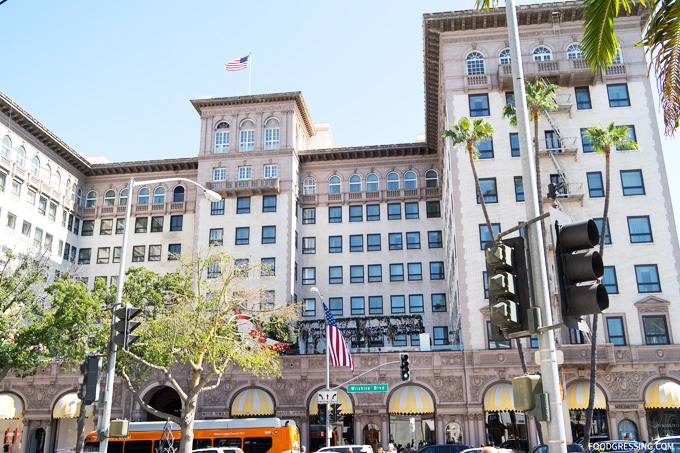 The Regent Beverly Wilshire at 9500 Wilshire Boulevard (Wilshire and Rodeo Drive) is the luxurious hotel where Edward and Vivian stayed. 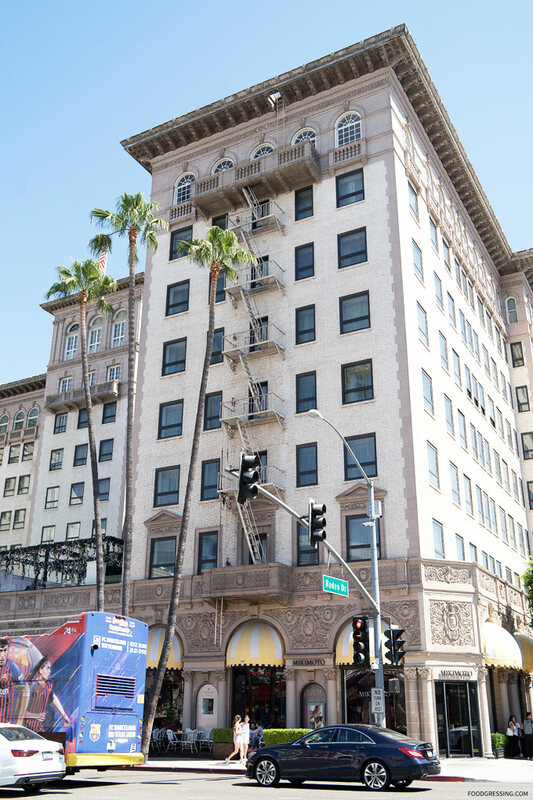 The exterior and the lobby of the hotel were featured in the movie but the rooms were a set built at the Disney Studio in Burbank. 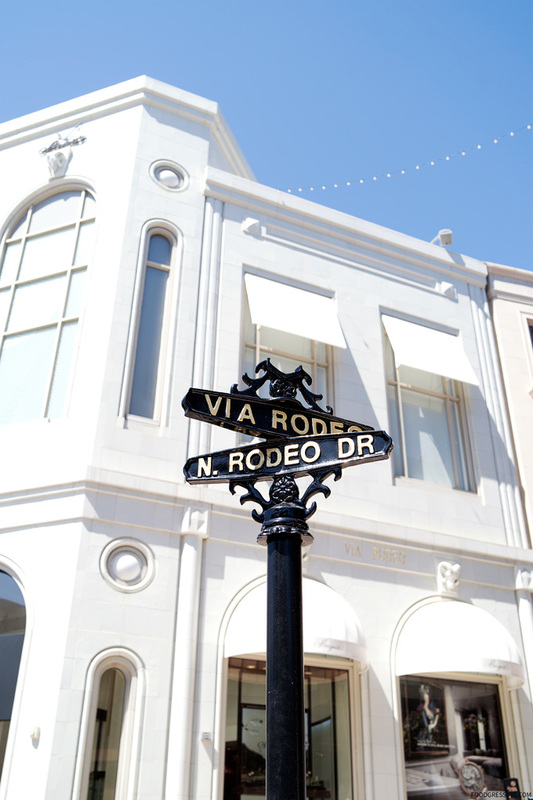 Giorgio Beverly Hills at 273 Rodeo Drive is the first luxury boutique to be founded on Rodeo Drive in Beverly Hills. It is also where Vivian was able to get that stunning red cocktail dress for dinner. The Giorgio Beverly Hills brand was sold to Avon in the 80s and the store’s name was changed to Fred Hayman Beverly Hills. 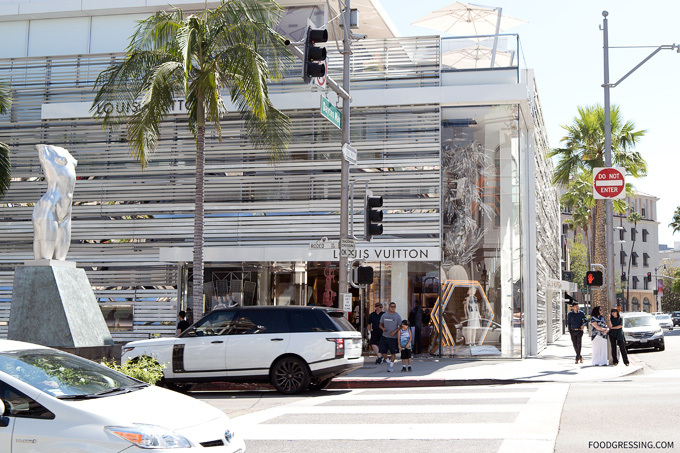 273 Rodeo Drive is now a branch of Louis Vuitton, but Fred Hayman Beverly Hills has a smaller boutique nearby. During my trip to Los Angeles last week, I revisited Hollywood Boulevard and took a stroll along Hollywood Walk of Fame. Just outside Hollywood and Highland Center at 6803 Hollywood Boulevard was Donald’s Trump Hollywood Walk of Fame star which he received in 2007 for his reality TV series, NBC’s The Apprentice. 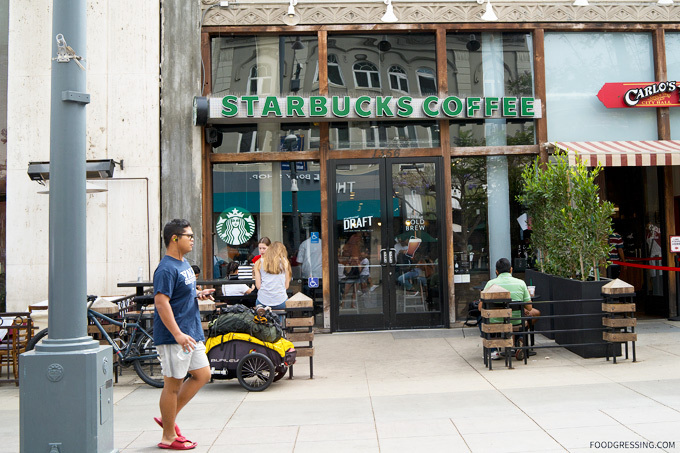 The star has been noted to have received negative attention since Trump’s presidential campaign in 2016. As I passed by the star, I witnessed first hand the negative attention the star received as a man aggressively scuffed his shoes against the star. Here’s a photo of it as the man stood to analyze the amount of damage he did. 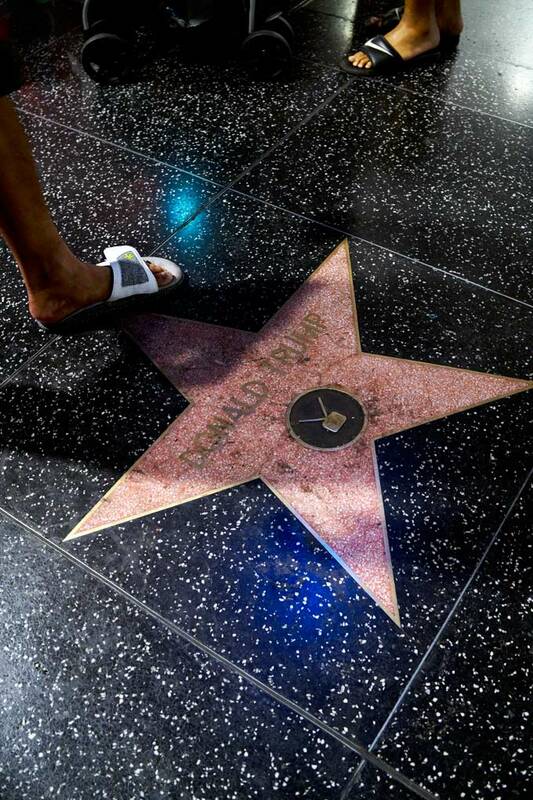 Trump’s star certainly looked like the most damaged star along Hollywood Boulevard. I’m putting up this post as I find it interesting (though not surprising) that a few days after I took this photo someone had taken a pickax and smashed Trump’s Walk of Fame star. Check out this video from TMZ which shows the man going to town on it. According to TMZ, no one tried to stop the man (who would approach a man swinging a pickax?) and the man later surrendered. Some have reported this to be “copycat” attack because the star was previously damaged by a man with a sledgehammer in 2016. It was interesting to have seen Trump’s star intact for a brief moment during my trip. Hey everyone! 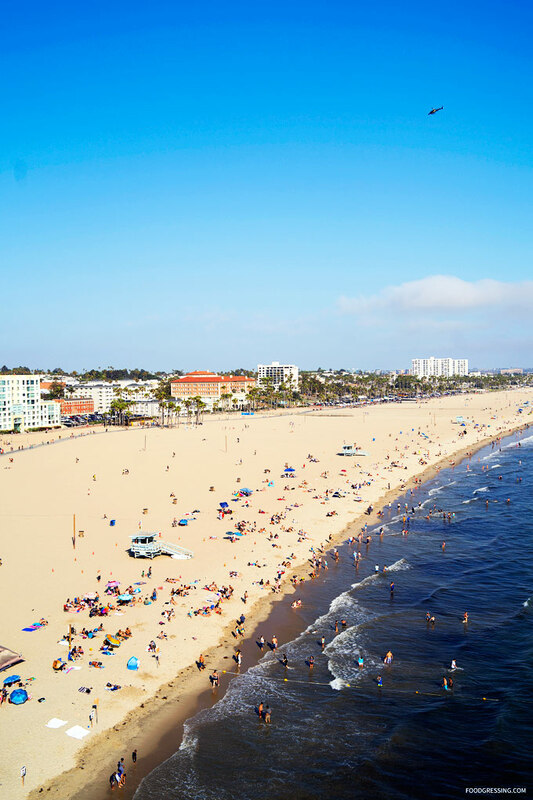 This week, I’m headed for some sunshine and good times in Los Angeles for a summertime getaway in partnership with Expedia.ca. 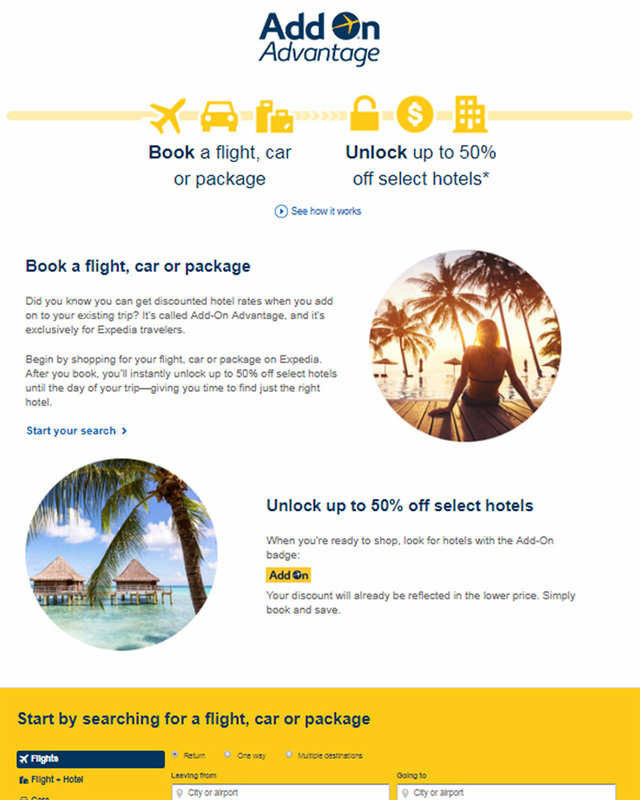 Have you heard of the Expedia Add-On Advantage program? You can get discounted hotel rates when you add on to your existing trip and it’s exclusively for Expedia travelers. Begin by shopping for your flight, car or package on Expedia. I booked this trip using the Expedia Add-on Advantage and am have scored some great savings on hotels. 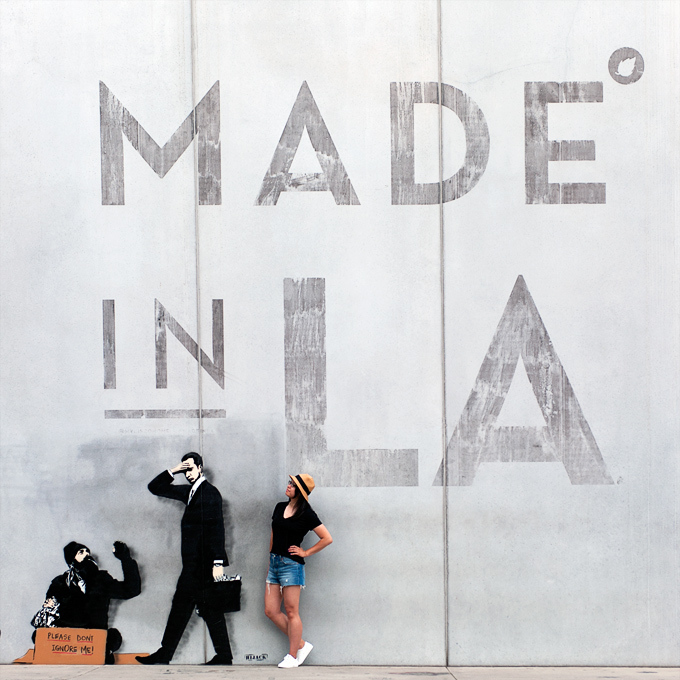 I’m taking a hiatus from posting on the blog while I am away BUT be sure to stay tuned to my Instagram and Insta-stories to find out about my LA and San Diego adventures. 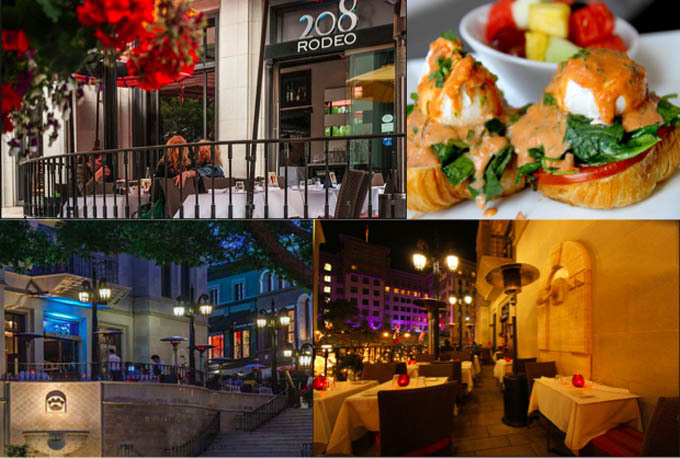 On your next trip to LA, you might just consider dining at the luxurious Beverly Hills restaurant, 208 Rodeo. 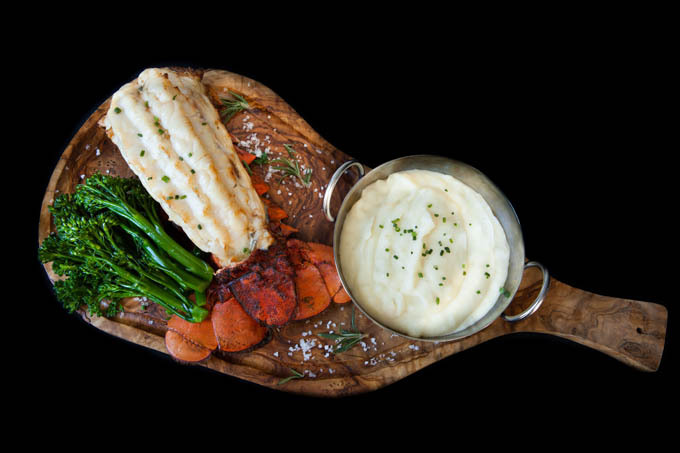 Whether a tourist or an L.A. native, having a meal at this iconic restaurant is the quintessential Beverly Hills experience that everyone should enjoy. 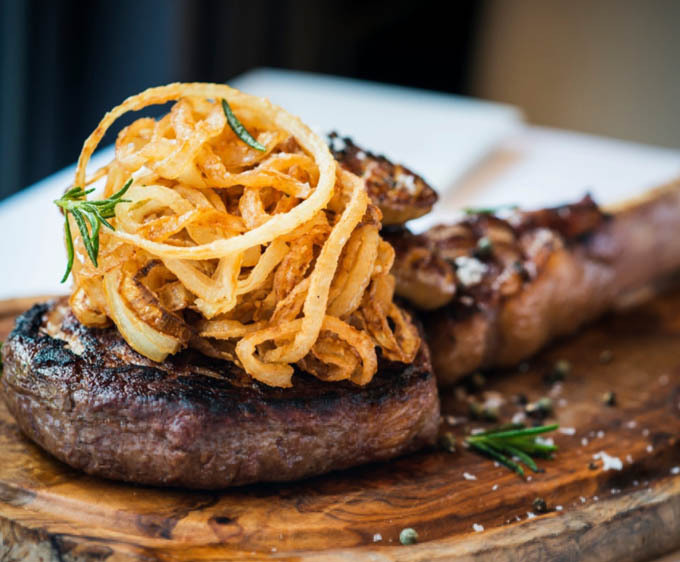 The perennially fashionable California bistro is a hidden gem but, in fact, has been part of the Beverly Hills dining scene for 25 years. 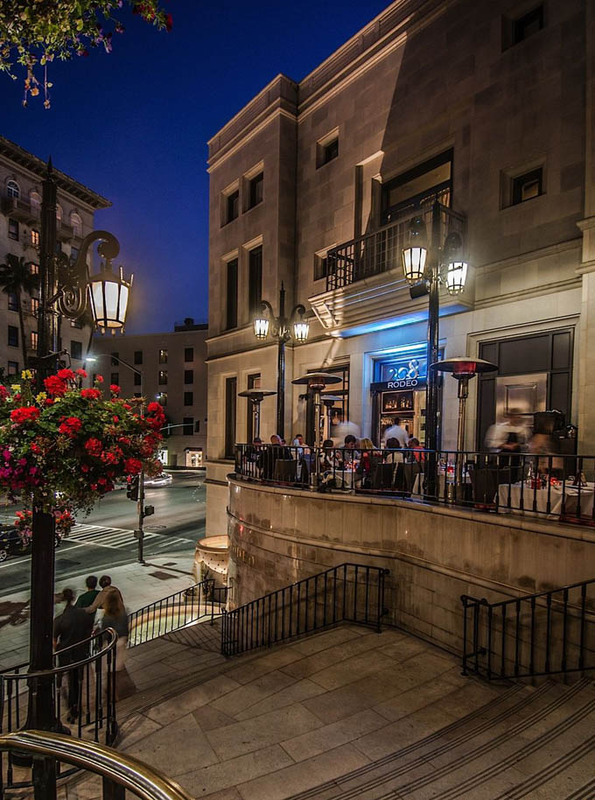 The restaurant is located on Via Rodeo, immediately atop the signature “Spanish Steps” in the Two Rodeo complex. 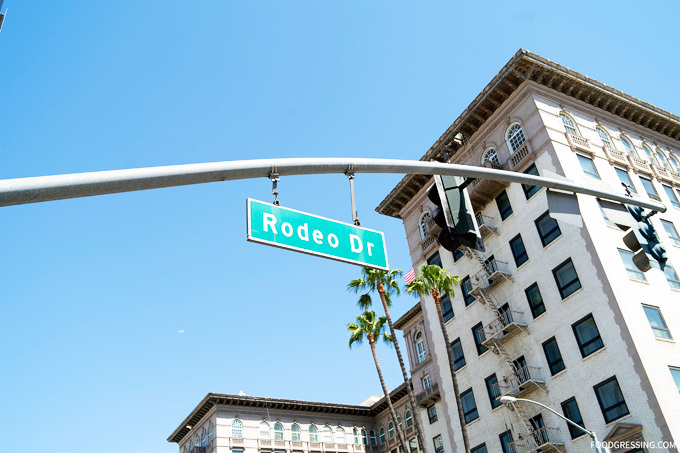 208 Rodeo offers exquisite Southern California cuisine, smart contemporary decor, and a beautiful view of Rodeo Drive. The restaurant also offers its full menu at its small bar for diners seeking a more casual vibe. The elegant charm of the bistro gives diners a luxurious experience, while maintaining a warm ambiance. fried onion strings, potato purée). Happy Hour is also offered on weekdays. For more information on 208 Rodeo, visit 208rodeo.com or on social media (Facebook, Instagram).